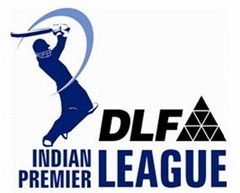 (Updated: Watch IPL 4 live streaming online ) Most awaited IPL T20 cricket matches for the year 2009 was inaugurated yesterday in South Africa . You may not be always at your TV to catch the live action of IPL cricket . Thanks to internet and broadband .So if you a laptop and a suitable internet connection , you can watch live IPL cricket 2009 online .Watching live cricket and online movies consumes a lot of internet bandwidth . But since IPL cricket is T20 match , its affordable to some extent .Check out how you can watch live IPL cricket 2009 online . Microsoft and IPL have partnered together to bring live IPL cricket 2009 online on official website of IPL . Microsoft technology team has helped them to build a robust portal . But still there are some issues on heavy traffic conditions .Check out the Alexa rank for IPL 2009 website . I was amazed to see the traffic growth for the last couple of days .IPL T20 is now one of the top 500 websites in India .And its the main reason for network congestion . Other than live streaming of IPL cricket matches , this site also offers stats ,schedules ,highlights etc .of previous matches and tickets for upcoming matches . BCCI also started a Youtube video channelfor highlights and prize distribution IPL T20 cricket 2009 . Some other websites like willow.tv also offer facilities to watch live IPL cricket 2009 online . But most of them are either payed or with connectivity or database issues .